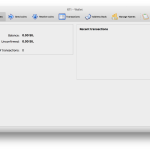 I want to introduce something new, I’ve grabbed on GitHub and Bitcointalk – it’s called 611 (SixEleven) [coin]. 611 (SixEleven) is a decentralised peer-to-peer system on Bitcoin technology that allows everyone to register names. After you own a name, no-one can take it away from you without your consent. You can associate and publish data with it that everyone can be sure is originated from you but which can neither be forged nor censored by unauthorised attackers. Hey, but 611 (SixEleven) is a fork of the Namecoin project. Why should I use this fork? Despite of Namecoin, the information you associate and publish with your 611 name(s) are accessible worldwide by any device connected to the Internet resolving yourname.611.to. 611 (SixEleven) is based on a powerful domain name system which is working incredibly fast with a recorded uptime of 100% since the first announcement on GitHub. 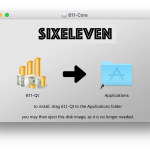 How do I start to use 611 (SixEleven)? Well, that’s pretty easy. 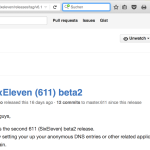 611 (SixEleven) is free software, provided “as is” with sources on GitHub. 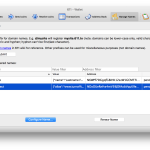 If you’re using Windows or Mac OS X you can download and run the precompiled binaries for free within minutes. Please read the latest release notes! To register name(s), I need some 611 coin [SIL]. Where can I get some? mine some yourself. 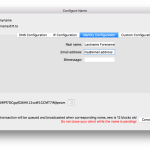 Simplest way is to open the “debug window” of your 611-qt client, click on “console” and enter the following command into the “>” command promt line: setgenerate true — but believe me – that can really take a long time to mine a block without special asic mining equipment. If you are a professional miner take a closer look at the release notes and merge mine 611 (SixEleven) together with other sha256 based coins like Bitcoin with P2Pool. 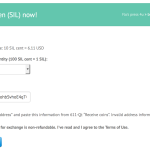 ask another 611 user or miner to share or trade some SIL cents with you or trade it on your favorite crypto coin exchange. 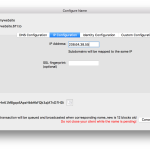 Note: You only need a few cents to register (and first_update) a new available name, in detail 0.1922 SIL. 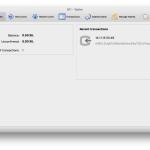 Any further operation (update, renew, transfer) is charged a fee of 0.0611 SIL which adds up to the profit of the miner adding the operation to the next block of the 611 blockchain. Now, I’ve some 611 SIL in my wallet. How can I register and update my name? Ok, I’ve created an image galery with some typical examples. 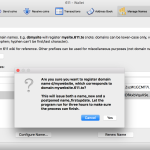 -> How can I register a new name and reserve it with my contact details? please take care to setup a correct e-mail address as an abuse contact record! 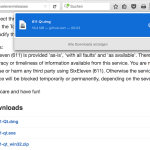 do not shutdown your 611-qt client until completed! 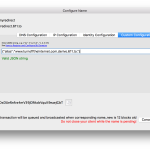 -> How can I register a new name and redirect it to my current website? Please mind the DOT after YourRedirectURL.derivo.611.to. 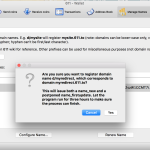 -> How can I register a new name and point it to the IP address of my webserver? -> Do you have some heavy stuff examples? Like dual-stack IPv4 and IPv6? or a URL redirection to an onion website? Sure, custom configuration and the Domain Name Specification of Namecoin is your friend. 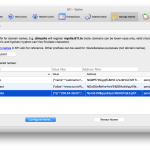 Take care of the right column (“Expires in”) of the “Manage Names” tab. The number indicates after how many blocks your name(s) will expire. In average a new block should be generated every five minute, so devide the number of blocks remaining by 288 and you have aproximately the days remaining until your name(s) will expire. To renew simply press the “Renew Name” button before this counter hits zero. 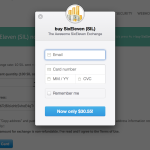 The fee for any update or renewal is 0.0611 SIL. 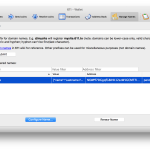 Note: Any “Configure Name…” update will also reset the expire counter to the maximum. 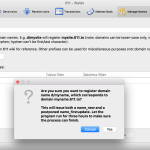 So you only have to renew names if you do not change any dns related configuration options for quite some time. Yes, definitely! Every help is welcome. Let me know if you have any ideas, suggestions, comments or if you are graphically skilled. 611 needs photo and video material explaining how it works and how to use the crypto currency for non technical users. If you are a coder, you can surely find tasks to help out, clean up the code base, merge newer client versions from Bitcoin or other crypto currencies. 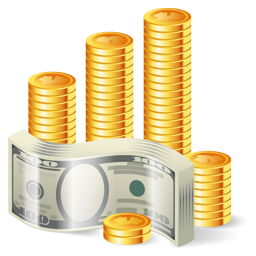 If you have some spare coins, you are welcome donate them to the addresses shown at the bottom of this page. can you please provide a screenshot or more detailed error message? What’s the content of your debug.log file?